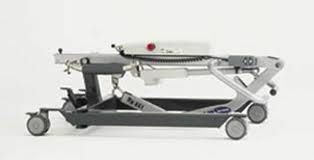 Invacare Birdie Compact Folding Electric Hoist. Total User Comfort: Providing plenty of space for the user even when the hoist is in the highest position, this provides a very comfortable lift and transfer. 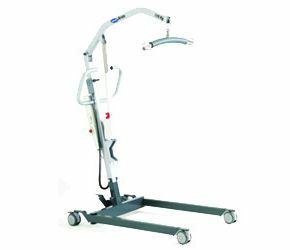 The user can also be easily rotated in a Birdie Compact Hoist which allows placing them into the bed/wheelchair much easier for the carer. Optimising space for the user creates a high level of comfort and ensures that the users knee’s are not too close to the actuator of the hoist, which means that there is a very low risk of injury. Ease of Handling – Simple to Fold, Unfold and Dismantle: The Birdie hoist can easily be folded and unfolded without the need for tools. The compact folding hoist will require minimal space when stored and is very easy to push and transport. If required the mast and boom can be easily detached from the base (no tools required). Lightweight and foldable in one piece or can be split into two pieces. It is a good and strong product as we expected and we believe that it will work very well for my mother, who is MS disease for more than 20 years. Very easy from start to finish. Fully satisfied with every aspect of transaction.